Opening times: Open all year for visitors. Price of admission: Entry is free. 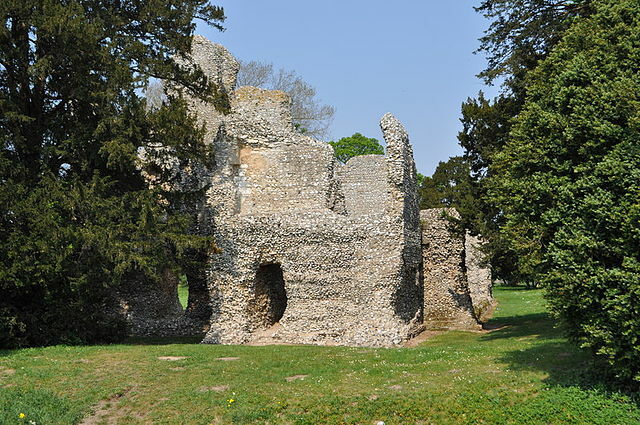 Notes: Weeting Castle is a 12th century ruin with a three story high tower in Weeting, Norfolk, near Brandon, Suffolk, England. Despite the name, it is not a castle but actually a fortified manor house. It has a large open hall and an attached two-storey chamber block. There's a domed brick ice-house on the northwest corner of the moat and a small car park next to the church. The moat was added in the 14th century. The place is thought to have been abandoned in 1390. It is now owned by English Heritage. Entry is free and the location is open all year for visitors.